Originally used to haul potent 40mm shells, this bold solid metal Ammo Can is ready for a second tour of duty. If it could speak, it would tell of the unrelenting ferocity from the roar of 40mm rounds... at a high rate of devastating firepower. Now it's ready to keep your gear organized and dry. WATERPROOF SOLID STEEL CONTAINER IS READY FOR A SECOND TOUR OF DUTY. Watertight and airtight! 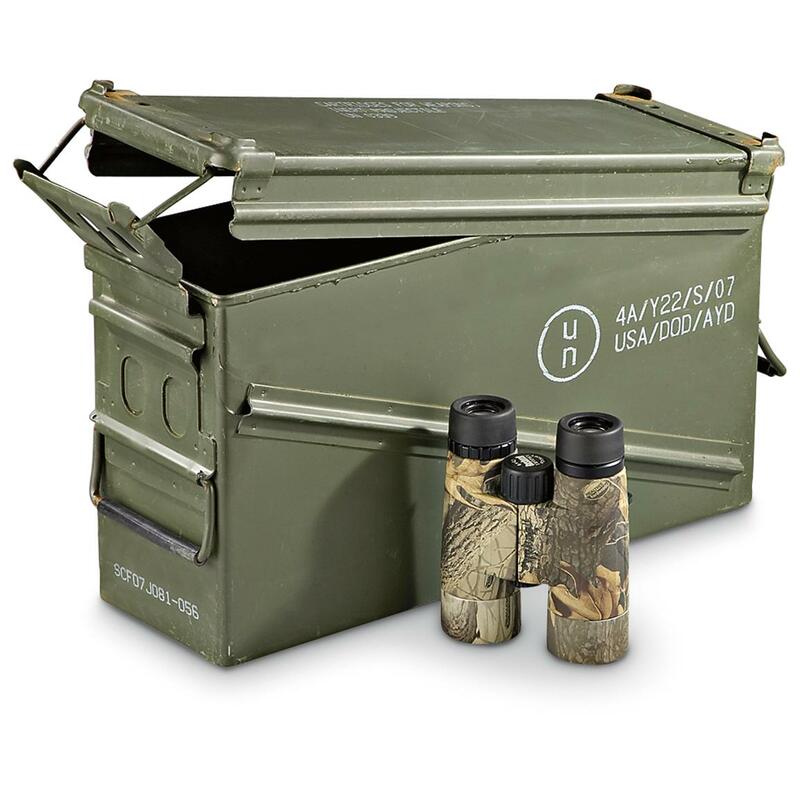 Each gasket-sealed container keeps out the elements for your own ammo, shooting accessories, hunting supplies, cash and you name it. It's stackable, sturdy and priced right! Nab this tactical-tough storage solution today! Storage Capacity: 1,068 cu. in. Interior Dimensions: 17.25" x 5.5" x 9.5"h.
Exterior Dimensions: 18.25" x 6" x 9.75"h.
U.S. Military Surplus PA120 40mm Ammo Can, Used is rated 4.5 out of 5 by 352. Rated 3 out of 5 by OhioBrian from Good price, but ... ...it cam with a nice dent on one side. Not a small dent, a big one. Seal was still intact. After a good deal of work, I was able to smooth much of the dent out. I understand its surplus, but it shouldn't have dents like that. Rated 5 out of 5 by notnalc from This was in good shape. Very little rust, and no dents. I'd recommend this product. Rated 4 out of 5 by B Franklin from Good Value (For The Sale Price) The 2 ammo cans I received are in good condition structurally. Open and close as they should. Good lid gasket. Both have minor surface rust, need to be cleaned, sanded and painted. Rated 5 out of 5 by DaveB from Great Deal Large enough to hold 1000 rounds of boxed 7.62x39 with plenty of room to spare. Well worth the price. Rated 5 out of 5 by oldirironfred from Decent Value Ding free,gasket excellent, tight latch. Rated 1 out of 5 by Chuck from Return I ordered (1) U.S. Military Surplus PA120 40mm Ammo Can. Item purchased stated (Very Good Condition) It was Rusted on Top & Bottom, Dented, Scrape marks on side. All Military Markings were sprayed with Black Paint, Who ever sprayed this item, did a school-kid job. The paint had run in different Places. In the pass I purchased other Ammo Cans from Sportsmanguide and they were OK. I contacted the Office and they said send it back, they did issue me a Prepaid label. I did not want to leave a (Reveiw) but, Sportsmanguide ask me too.